Jonathan Engel and Petr Vogel article regarding the neutrinoless double beta decay process: 'Viewpoint: The Hunt for No Neutrinos'. Cabot-Ann gave a TED Talk called 'The Case for Curiosity'. Jason was interviewed on KNKX (88.5 FM) by Gabriel Spitzer for a piece on his program "Sound Effect" about ultra-rare phenomena. Majorana student Adam Caldwell led demonstrations of copper electroplating at Neutrino Day 2015. Photo by Ashley Paisley. 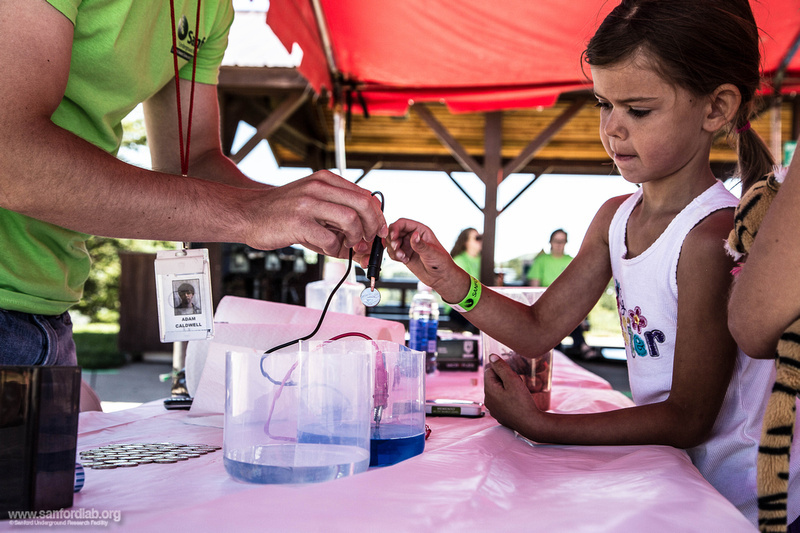 Neutrino Day was a huge success, with 1,800 people attending activities and presentations at SURF. MAJORANA Collaboration scientists gave lectures, led hands-on demonstrations of copper electroforming and glovebox work, and answered questions on a live broadcast from the 4850' level. See more in "Deep Thoughts." "Testing the Nature of Neutrinos"
The MAJORANA Demonstrator was recently profiled in Symmetry Magazine. Also, check out their Q&A with Randy Hughes, the MAJORANA Collaboration's underground machinist. After their visit, Symmetry Magazine also answered the question, "How do you get to work when your office is a clean room a mile below ground?" Take a look at the answer to learn more about every-day life in the MAJORANA Collaboration! The Black Hills Pioneer covered the start of Cryostat 1 comissioning. 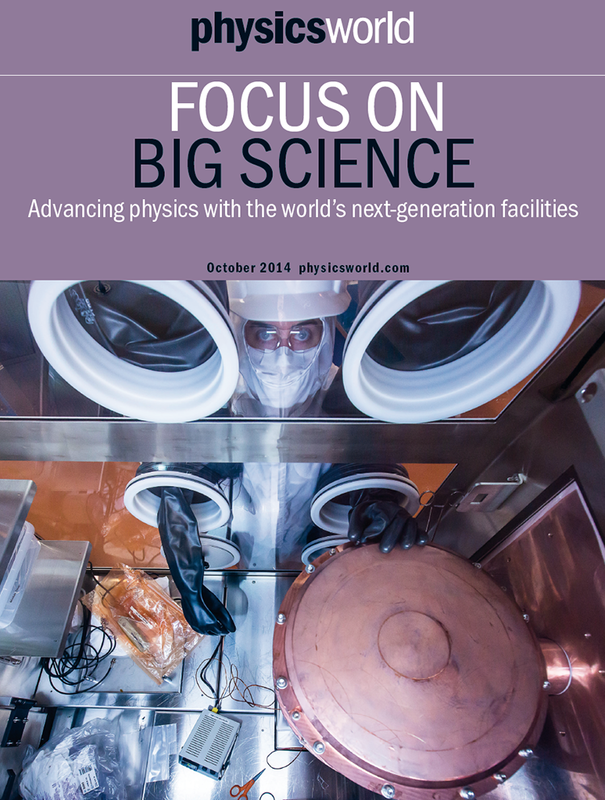 "Reducing Cosmic Rays to a Trickle"
The MAJORANA Demonstrator was profiled in Physics World. "The Quietest Place in the Universe"
LUX and the MAJORANA Demonstrator were covered in an essay in Harper's Magazine.